Cloud is an increasingly prevalent and medium for the delivery of IT, offering users considerable flexibility, affordability and scalability. It is not a universal solution though. 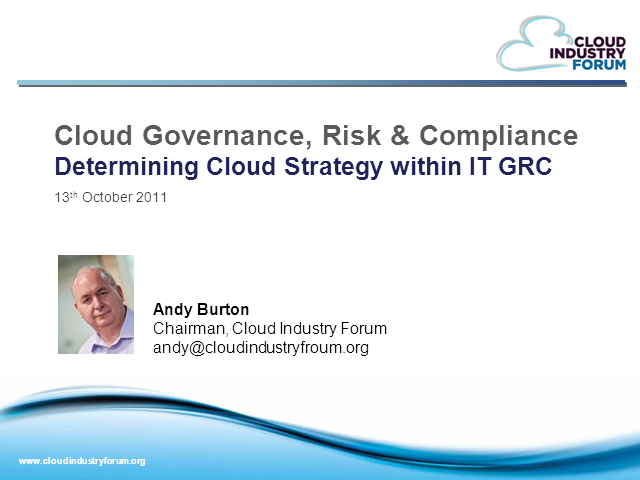 Therefore, when should an organisation choose cloud services over on-premise? What deployment models are appropriate? And, what considerations need to be made in determining and mitigating operational, commercial and security risks, governance and compliance. The Cloud Industry Forum will discuss current trends around cloud service adoption, issues raised by early adopters that need to managed, and set out key considerations businesses should be aware of in advancing cloud services as part of their wider IT capability.